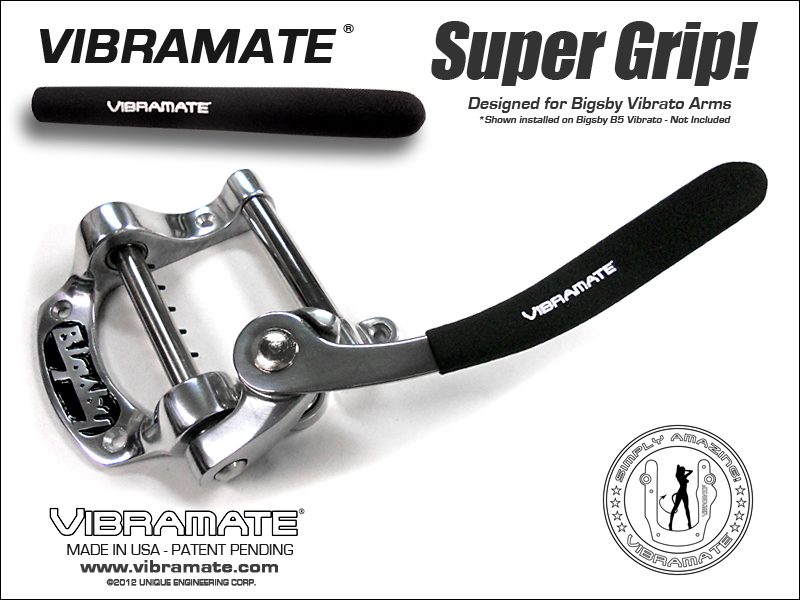 Vibramate VBR-1 Bridge [VB-VBR-1] - $49.95 : VIBRAMATE, Official Vibramate Merchandise! 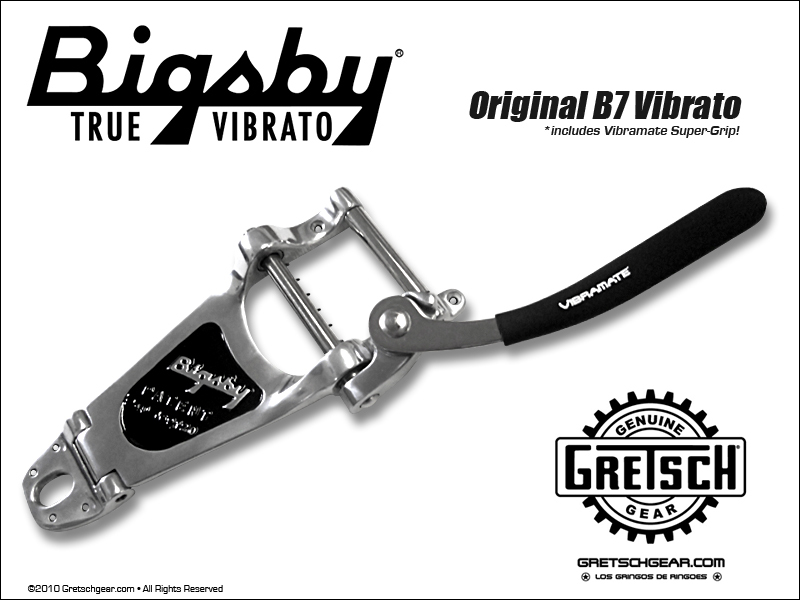 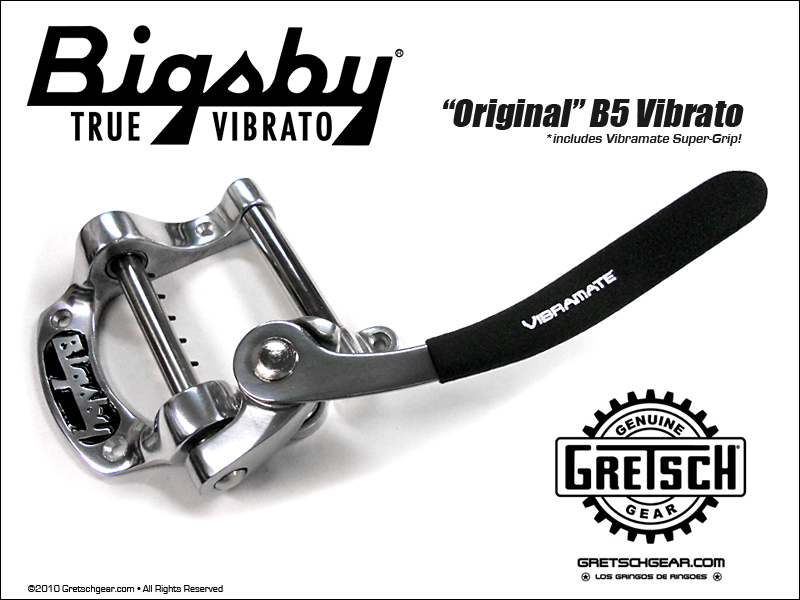 Vibramate VBR-1 Bridge is a direct replacement for the classic ABR-1 Tune-O-Matic style bridge as used on most standard Gibson style guitars but comes stock with traditional Nylon Saddles for use with vintage vibrato systems such as the Bigsby. 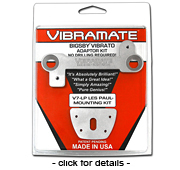 Fits most Gibson and Industry Standard with 3/16" mounting holes on 2-15/16" Centerlines. 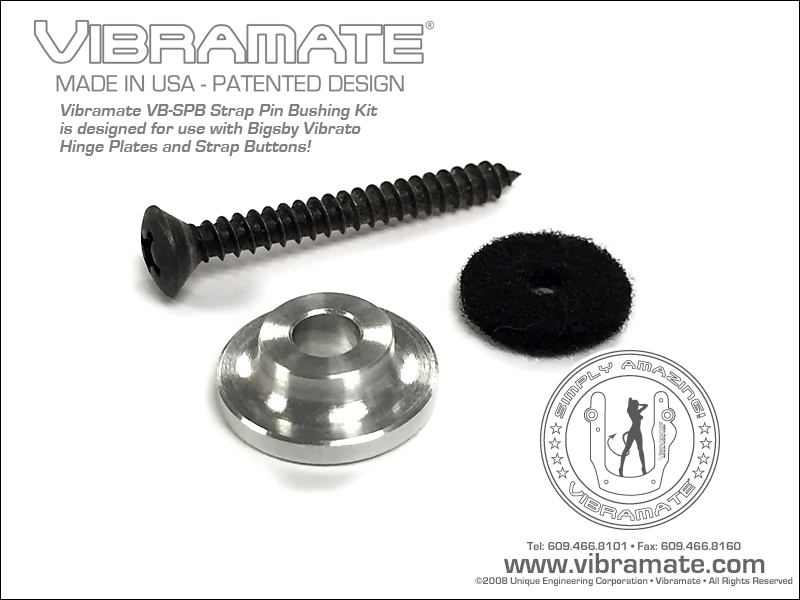 Kit includes matching Thumbwheels and replacement Studs. 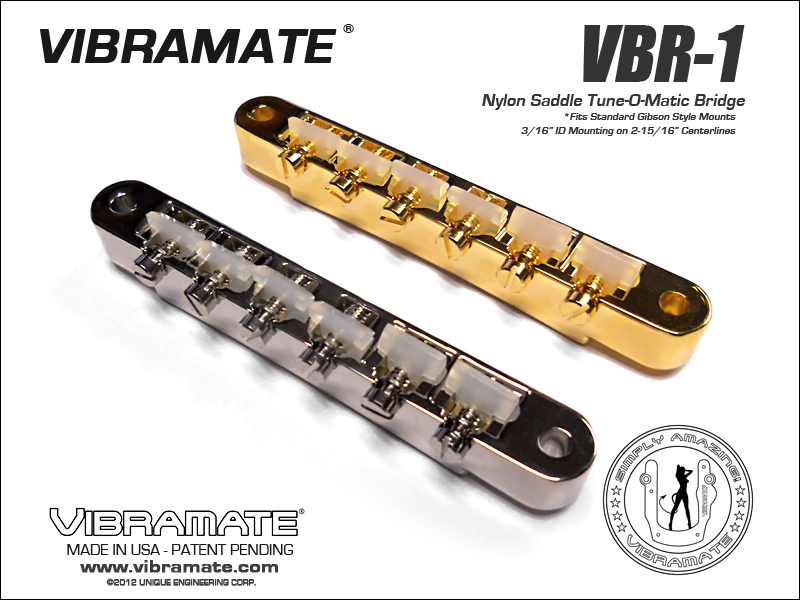 Vibramate VBR-1 Bridge is Made in the USA!